Divorce, or dissolution as it is called in court forms, can be agreed or not agreed, uncontested, with or without children, and with or without maintenance or spousal support. There may or may not be discovery or pretrial motions. What type of relief do you want or can you get? Will you be the obligee or the obligor, the payee or payor, the petitioner or respondent or the petitioning respondent or petitioner? Income? Can income be extrapolated as an imputation? Possibly, the forms are so easy to fill out that before becoming an attorney you have to get a bachelors in anything, which is a 4 year degree that takes about 6 to get if you go full time. Once you get your bachelors and apply to law school, you have three grueling years of law school before you graduate. And yes, you still are not an attorney, you simply earned the right to take the bar. Once you pass the bar you know nothing really about family law, but you can start learning about it, which they call practice. After some years of practice you will somewhat know what you are doing but still researching as new issues present themselves. Simply put, the forms are not easy, and if you think they are, you are ill informed especially if that source of information is you. Dissolution with No Children. Pierce County Paralegal Services can help you navigate the mind twisting dialogue above. In a divorce with no children involved, Pierce County Paralegal Services can prepare all of the documents for you divorce that divides assets and liabilities. In addition, Pierce County Paralegal Services can help you get spousal or maintenance support, known as alimony in some other states. I view it as similar to paying child support for an adult ex-marriage partner. When spousal support (maintenance) is requested, you have to do more than simply prove you want it, or prove they don't need it. Spousal is based on two basic points, an ability by one party to pay it, and the other party having a true need for it. True need is not defined as "I like spending her money instead of mine", therefore I need it. Regardless, a request for maintenance support creates an equal amount of work if not more than a request for child support. Pierce County Paralegal Services can assist or otherwise help you in navigating this issue. Pierce County Paralegal Services has a grasp on the CR of procedure, RCW, WAC, and case law. There is a reason why there is the RCW stated in the footer of everyone of those forms, it is not simply to make it look legal. Even for us a Pierce County Paralegal Services we confront challenges that you would not recognize as one, you may simply think it is an easy box to check on an easy form. Divorces with children. Other than everything already touch upon that is addressed in a dissolution, Pierce County Paralegal Services can help you address the unique issues of custody, parenting plans, and child support associated with divorces with children. What determines decision making, visitation, custody that is shared, split or joint. What is a custodial parent, noncustodial parent, parenting time, and all the other terms that are defined somewhere? The primary parent may not end up being the custodial parent and may end up being the payor on the other side of an order of child support. What about extraordinary expenses and whether or not there is a limit, and if there is a limit to its quantity, what is it? In shore, not a good idea to fill those simple easy forms out yourself with so many other topics of knowledge and experience I have not even brushed against. 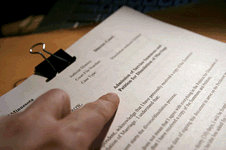 See family law document preparation fees.